Diehl CDJR of Butler features the latest manufacturer offers and incentives on all new Chrysler, Dodge, Jeep, and RAM vehicles. Discover which offers are best for you and drive off in a new car today. Here at Diehl of Butler, it’s our goal to be the go-to spot for drivers in the Butler Area. As a family-owned and operated dealership, we’ve made customer care our top priority for decades. Since 1995, we’ve been providing top-quality and affordable cars to drivers throughout Pittsburgh, Mars, Gibsonia and Cranberry Township. We invite you to stop by our Butler, PA showroom to browse our massive collection of new Chrysler, Dodge, Jeep and RAM models. . Test drive the latest models, like the Ram 1500, Jeep Grand Cherokee or Renegade. Fulfill your need for speed in the Dodge Charger or Challenger SRT Hellcat. Pack the family in for the next big road trip in the Chrysler Pacifica. 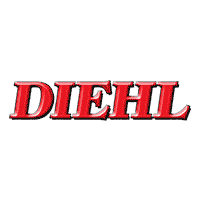 At Diehl, we believe in providing our customers with all available information to help them make informed decisions. We’re here to help you find the right vehicle for you. Compare cars to see how our brands stack up to the competition, or go to the Select Your Jeep page for an overview of the line up of these rugged SUVs. Enjoy the peace of mind that comes with buying your next car from a trustworthy name like Diehl! After all, that’s how we’ve earned our unrivaled reputation among dealerships in the Pittsburgh area. Finding your next car is merely the beginning of all we can do for our customers. We offer the assistance of our Finance Center to guide you through the car-buying process from beginning to an end. Find out about getting a Dodge lease in Mars, or an auto loan in Gibsonia. We’ll help you determine whether to buy or lease your next car and help you secure an auto loan if necessary. With our help, you’ll be driving your new car in a matter of minutes! At Diehl of Butler, we also encourage drivers to take advantage of the automotive expertise found through our Service Center and Parts Department for any model. Our technicians have all the tools and technical expertise to keep your vehicle running its best for years to come. Our team provides fast and affordable service to ensure that your car maintains its initial quality throughout many years of joyful ownership! What else can we do for you? Browse our inventory, or get in touch. You can reach us at (888) 771-6213, or follow these directions from greater Pittsburgh or your location to 258 Pittsburgh Road, Butler, PA 16002 today.